Foundation which is combating human trafficking and the Hemray Goyal Foundation. Top university teams from all over the UK will perform on March 6th in front of a live audience and A-List judges Terence Lewis (Dance India Dance), Signature (Britain’s Got Talent), Juggy D and Shruti Shah (Shiamak Davar) for a chance to be named National Bollywood champions. 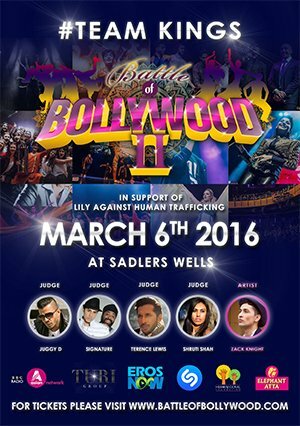 As if that isn’t exciting enough, Zack Knight will also be performing. The Live Show would be aired on BBC Asian Network at 6pm on 6th March.